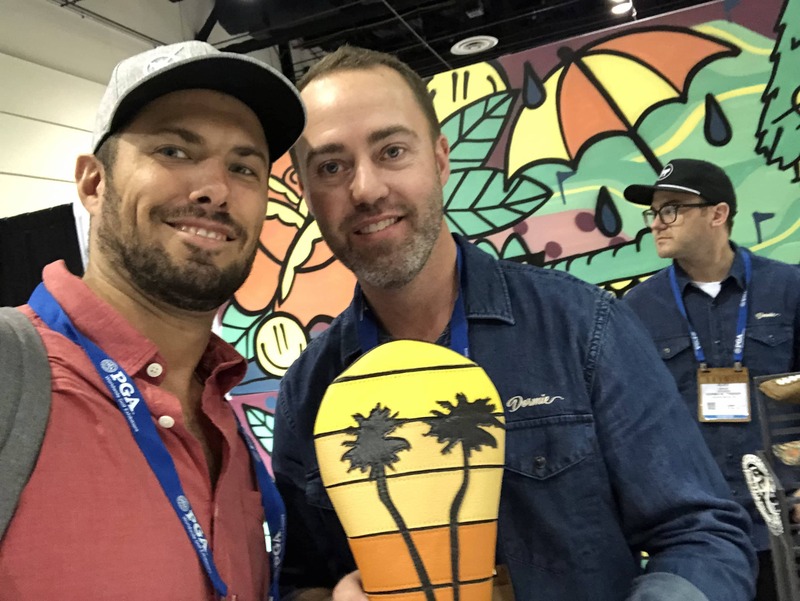 Just a few weeks ago, the 66th annual PGA Merchandise Show took place at the Orange County Convention Centre in Orlando, Florida. 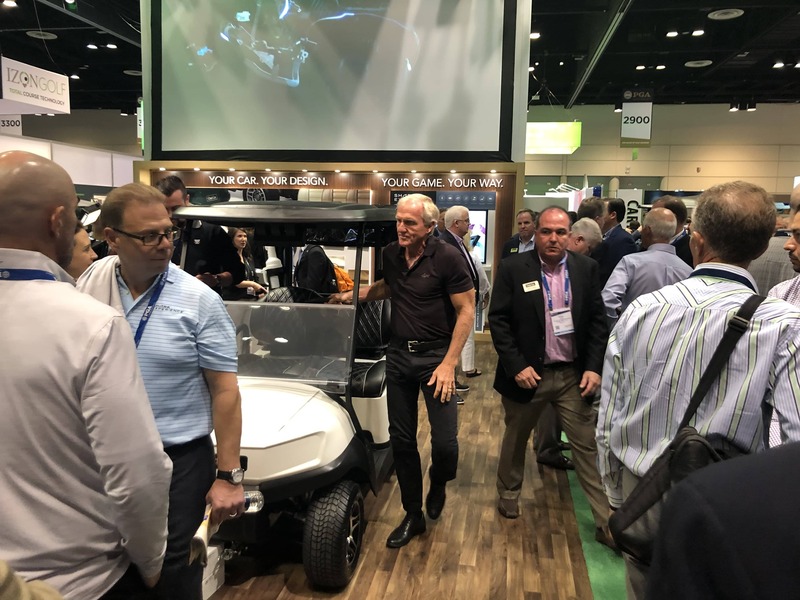 The four days were a huge success with many golf companies primed to peddle their golfing wares to a record number of global visitors at an event that's often seen as being at the very forefront of innovation in the game. And, of course, where the great and the good of the golfing world all gather in one place, you'll find Hole19 right in the middle of everything keeping our community right up to date with the all the current movers and shakers in the game. Anthony, aka 'the boss man', was in attendance all week and has brought us back some pretty awesome snaps which help showcase all that's fresh and quirky in the world of golf!! So then, without further ado, here's a list of some of the coolest stuff we encountered at this year's PGA Show and that we couldn't wait to tell you all about. The demo day took place on Tuesday, January 22 and gave the greatest names in golf equipment the chance to showcase their newest clubs, club fitting techniques, instructional aids and much more! We particularly loved the 360° driving range set-up and there was plenty of club testing and long-hitting going on. With that said, no single golfer managed to muscle a shot out of one of the longest driving ranges in the world. Golfboards are one of those 'pace of play' improvement ideas, as well as being a pretty cool product in its own right, which could make your rounds of golf a little more fun. Just hitch your golf clubs to the front or back of this motorised skateboard-style vehicle and you can reach pretty much every part of the golf course with effortless ease. Oh, and you'll likely look pretty cool while you're doing it. 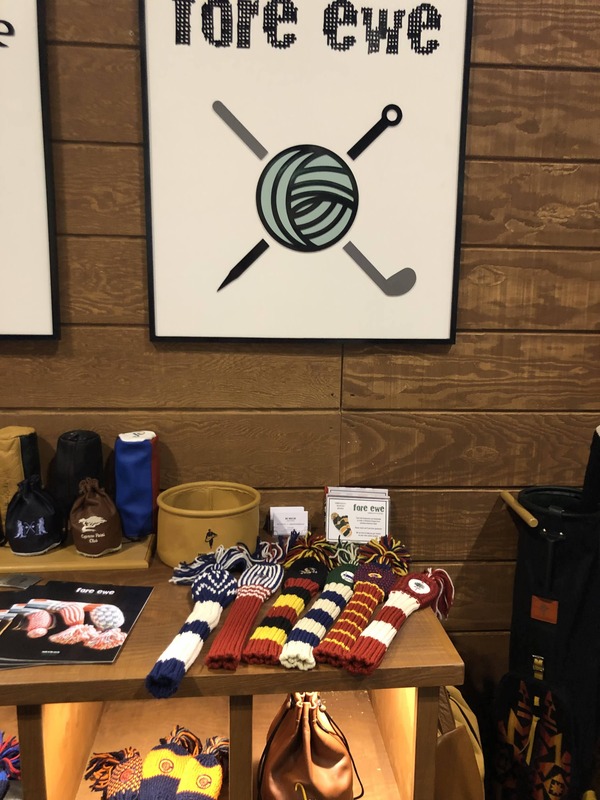 The guys at Fore Ewe specialise in knitted golf head covers which we thought looked pretty stylish and are bound to get you noticed on the fairways. Taking that 'old-school' feel to the max, we thought the head covers could be a great addition to any golf bag. Could they be in yours at the start of the new golfing season? Looking for more ideas to speed up the pace of play? Or do you just want to arrive at every tee in style? In either case, the Finn Cycle could be the perfect experience for you. 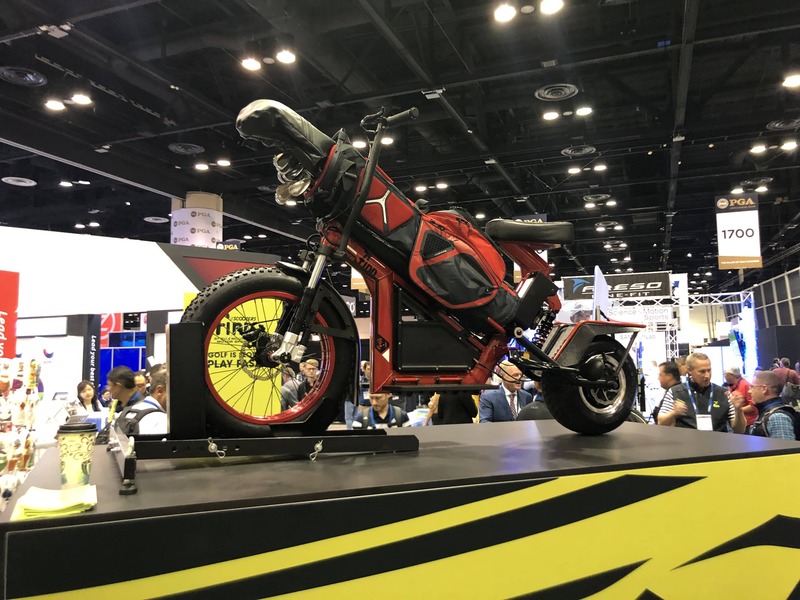 These single rider electric golf cycles are easy to ride and could add a little exhilaration to your game the next time you hit the golf course. Let's be honest... anything attributed to Greg Norman is always going to create plenty of buzz in the world of golf, right? His partnership with ClubCar to bring the 'Shark Experience' to the golf course falls right into that category. This new 'teched-up golf cart' allows golfers to enhance their golfing experience by streaming music and sports using its HD-touchscreen set-up. Perhaps this could be the perfect way to take your mind of that dreaded upcoming tee shot. Struggle with 'connection' in the golf swing? This one's for you!! 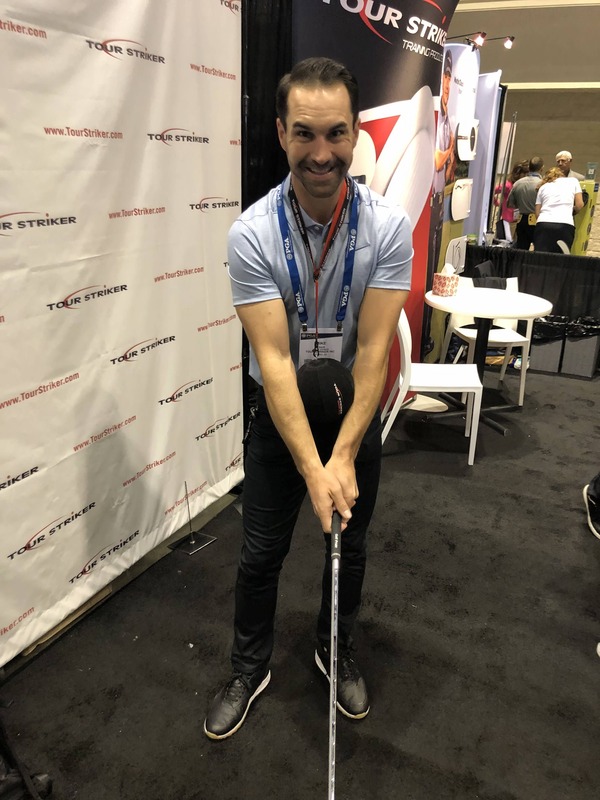 Most of us amateur golfers will have had issues at some point or other understanding the relationship of the arms and the body in the golf swing. The Tour Striker Smart Ball could be the answer to all our prayers. When some of the best golfers in the world believe in a training aid, and regularly use it, you know it's worth your attention. Ever wondered what world number one Justin Rose and Anthony (Hole19 CEO) have in common? Yup, that's right, they both now own this nifty little swing trainer. The Putt View augmented reality putting aid helps calculate the exact ball-path at any position and then projects it on to the green so we golfers can visualise our putts and all from the comfort of our own homes. With the right line all you now need is the correct pace. Easy peasy, right? 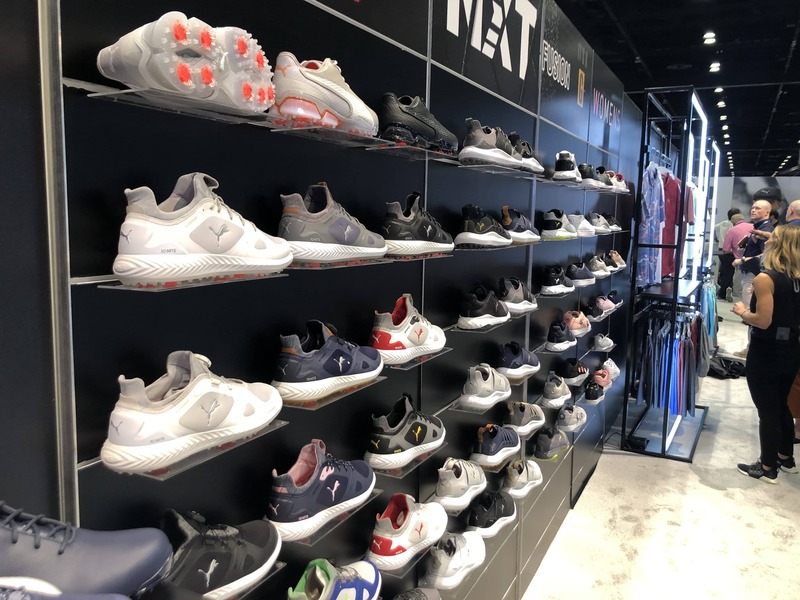 Puma, as a golf apparel brand, is in a pretty good place with successful Tour pros like Rickie Fowler and Bryson DeChambeau taking their clothing to the masses. We spied some pretty stylish threads at the PGA Show as well as a collection of impressive high-performance golf shoes. Can you see your next pair on display?